With 30+ years in the restaurant business, Stephen meets and exceeds client expectations whether it is a white tablecloth venue, popular neighborhood diner or high volume production line catering. 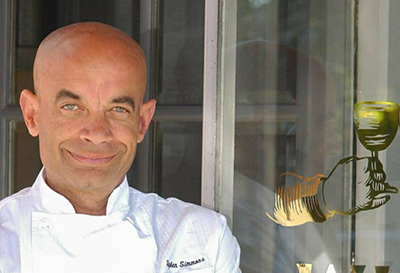 He has owned three successful restaurants, been a partner in two others; as well as serving as an Executive Chef. He loves what he does and understands both the challenges of startup operations and the daily struggle to make bottom line profits. Stephen began his career under several acclaimed chefs and moved up through the ranks of several prominent hotels before venturing out on his own. He bought and revitalized a popular comfort food restaurant in Marin County and launched both a full service grill and a popular wine bar to critical acclaim. Level headed and calm, he offers Full Plate clients a comprehensive and professional training style, with great attention to detail.